Bulletin reads: "Peace - Peace I leave with you; My peace I give to you. 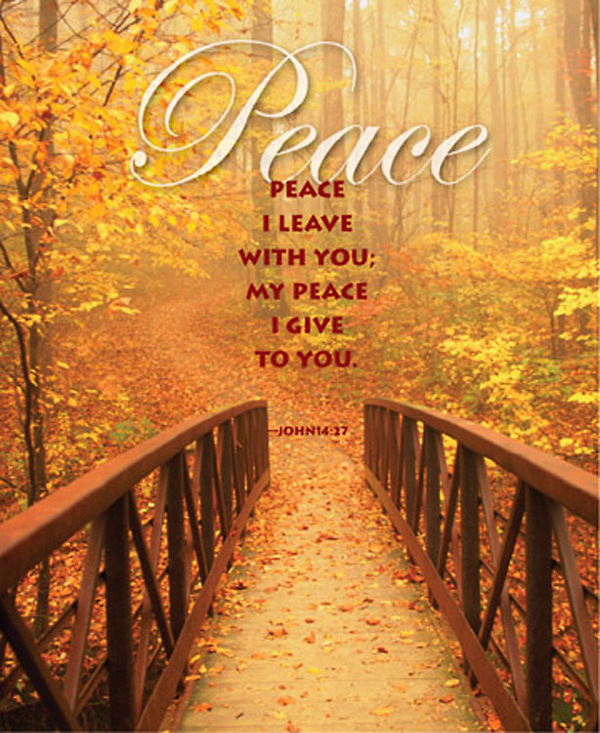 John 14:27"
This beautiful bulletin is a great addition to any of your worship services throughout the Fall. The bulletin comes in both regular and large sizes. Welcome visitors to your church with in 4" x 9" or 6" x 9" Welcome Folders. Have you checked your pew pencils lately? Replenish your supple of pew pencils from our selection.